When America is drawn into the war effort—Roosevelt’s infamy speech marks the act break—Ronsel Jackson (Jason Mitchell) and Jamie are called on to serve. When they return to the states, inevitably changed, they face a very different perspective of the narrow world they once called home. Thus is Mudbound, the Netflix-acquired film from Dee Rees and based on the book by Hillary Jordan. It is a period piece about race relations within the limiting perspective of Americana. In the opening scene, Henry and Jamie dig a grave as a storm approaches. It is soon revealed that it is a grave for their father, as Henry makes note that they are digging up the grave of a former slave. He says that his father would not abide being buried next to a slave, to which Jamie replies there’s no other option. It is a striking opening sequence, perhaps more so with the irony of retrospect. It also highlights a key conversation that Mudbound engages in. It is a conversation about 1940s American racism that comments on the past, present, and future of such a negative social institution. It isn’t an overly novel subject matter to tackle, but Mudbound nevertheless still feels powerful. This is the major takeaway. Mudbound does not deviate far from the common tropes of the Americana period piece, but it also does not sanitize the struggles that are ingrained in those tropes. The path feels familiar throughout, yet the characters we are following are nuanced and genuine. This is due in part to the phenomenal cast. With what is perhaps the best ensemble cast of the year, Mudbound triumphs over its somewhat conventional storytelling with performances that are rich and, at times, transfixing. Mitchell and Hedlund strike up a great chemistry in the scenes they share. And Blige is unrecognizable in her role as the Jackson family matriarch, her understated performance something that dwells with you. 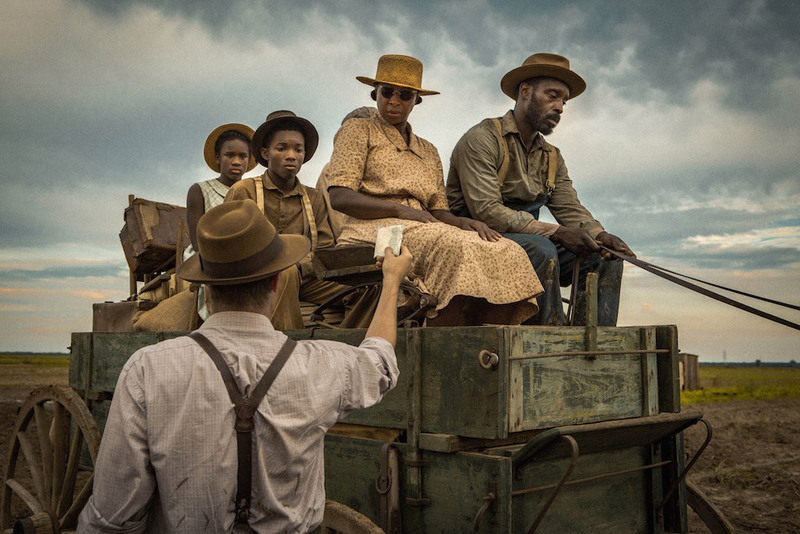 Mudbound is ruminative and sometimes lyrical with its use of voiceover. While the end result of this is not as enlightening as one would hope, the film following traditional trajectories in the pursuit of resolution, there is still something poignant in the quiet remembrance that occurs in the narration. There is a weight to the film that warns us of what will come to pass, even though it leaves us with more than just what we expect. And this is Mudbound in a nutshell. It is what you expect with just a little something more.